“Lady In Red Sheet Music” by Chris de Burgh, “ Lady In Red Sheet Music Chris de Burgh” for Piano Sheet Music, Scoring Piano / Vocal / Guitar , Original key: Bb, number of pages sheet music PDF: 5, and Lyrics song Lady In Red Sheet Music Chris de Burgh Free Download. 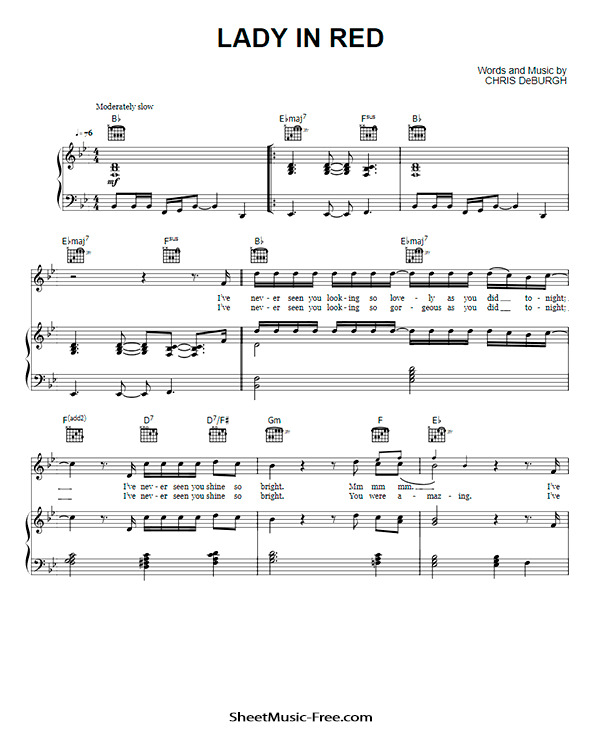 Free Download Lady In Red Sheet Music Chris de Burgh. Contains printable Sheet Music PDF format. 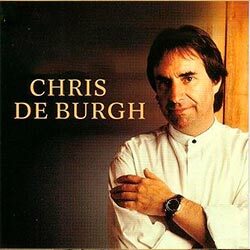 The Sheet Music Details Tab gives you detailed information about this particular arrangement of Lady In Red Sheet Music Chris de Burgh. The lady in red has 3 pages but page 2 does not belong with these music sheets. Could you please amend this with the correct page 2 thankyou. Kind regards Phil. Hi Phil, Thank you very much for telling us the error. We have already fixed page 2, now it is correct.